An interesting story - five police officers are given a tip-off about a possible opium deal. Rushing to the house, a bomb explodes, killing two and grievously wounding the other three. The bomber seems to be an addict revenging himself on behalf of a friend he believed falsely accused and hanged for the shooting of a bystander in an arrest gone wrong. A fundamentally interesting story about possible police corruption (with strong modern resonances) is marred by Pitt's long internal monologues. The dialogue, replete with an excess of exclamation marks and a tendency for characters to have 'exclaimed' rather than rely on the old 'he said/she said), tended to come across as a preachy tirade. Consequently, the story felt poorly paced. This was especially evident at the denouement - which look place in the courtroom - at which point the story ended. There was no sense of how the characters might react to how the events unfolded, nothing to tie the story up. 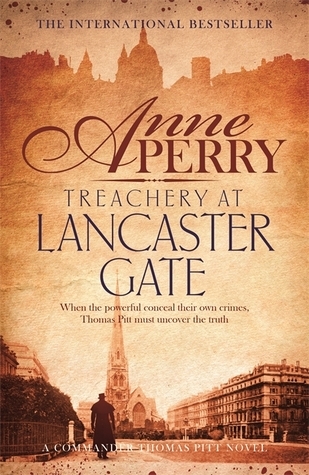 Sign into Goodreads to see if any of your friends have read Treachery at Lancaster Gate. You have mirrored my take on this novel..I just failed to give as cogent a review! Thank you.